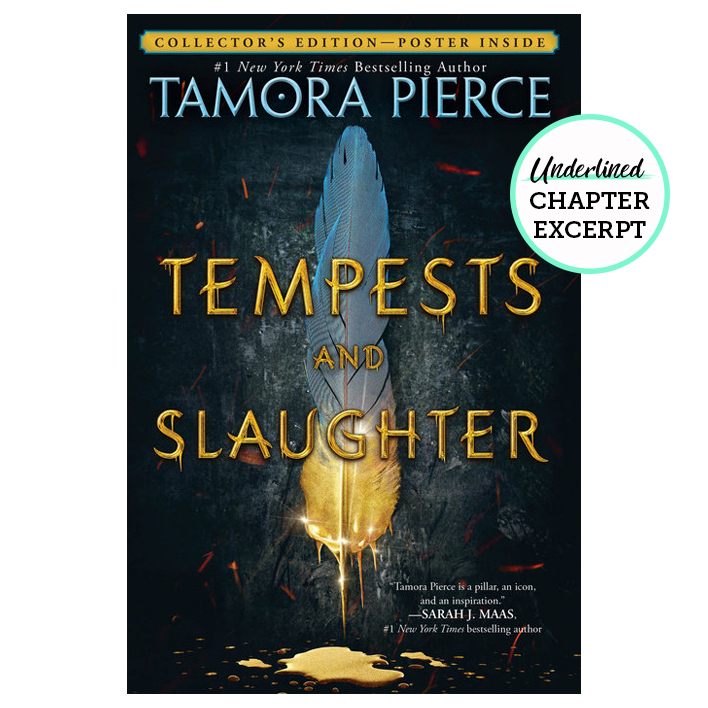 This must-read fantasy from an author who is legend herself--Tamora Pierce--is one Bustle calls "the perfect book for die-hard Pierce fans and newcomers alike." Discover the origin story of one of the realm's most powerful mages in the first book in the Numair Chronicles. Arram Draper is on the path to becoming one of the realm's most powerful mages. The youngest student in his class at the Imperial University of Carthak, he has a Gift with unlimited potential for greatness--and for attracting trouble. At his side are his two best friends: Varice, a clever girl with an often-overlooked talent, and Ozorne, the "leftover prince" with secret ambitions. Together, these three friends forge a bond that will one day shape kingdoms. And as Ozorne gets closer to the throne and Varice gets closer to Arram's heart, Arram realizes that one day--soon--he will have to decide where his loyalties truly lie. In the Numair Chronicles, readers will be rewarded with the never-before-told story of how Numair Salmalín came to Tortall. Newcomers will discover a YA fantasy where a kingdom's future rests on the shoulders of a talented young man with a knack for making vicious enemies. BONUS! Don't miss Sarah J. Maas's interview with Tamora Pierce! Arram Draper hung on the rail of the great arena, hoisting himself until his belly was bent over the polished stone. It was the only way he could get between the two bulky men who blocked his view. He knew it was risky, but he couldn’t waste his first chance to see the gladiators when they marched into the huge stadium. His father and grandfather were back at their seats, arguing about new business ventures. They weren’t paying attention, waving him off when he asked to visit the privies and never realizing he’d squirmed his way down to the rail instead. Apart from them, he was alone. There were no friends from school for company. They all said he was too young. He was eleven--well, ten, in truth, but he told them he was eleven. Even that didn’t earn him friends among his older schoolfellows. Still, he wasn’t a baby! If he didn’t see the games with his family today, he might never get the chance, and he’d learned only last night he might not see Papa again for two years, even three. Carthak was a costly voyage for Yusaf Draper, and his new venture would take him away for a long time. But in the morning, Arram would be able to tell the older students that he had watched the games right from the arena wall! Already he’d heard the trumpets and drums announcing the arrival of the emperor and his heirs. He couldn’t see their faces, but surely all the sparkling gold, silver, and gems meant the wearers were part of the imperial family. He could see the Grand Crier, who stood on a platform halfway between him and the royals. More important, he could plainly hear the man’s booming voice as he announced the emperor’s many titles and those of his heirs. Now Arram remembered. Ozorne was a year or two ahead of him in the Lower Academy. From the podium, the crier bellowed that the emperor would bless the games. Everyone thundered to their feet and then hushed. His voice amplified, most likely by a mage, the emperor prayed to the gods for an excellent round of games. When he finished, everyone sat. For a very long moment the arena was still. Then the boy felt a slow, regular thudding rise through the stone and up his legs. His body shuddered against the railing. Nearby, in the wall that took up a third of the southern end of the arena, huge barred gates swung inward. Here came drummers and trumpeters, clad only in gold-trimmed scarlet loincloths. Their oiled bodies gleamed as brightly as the polished metal of their instruments. The brawny men represented every race of the empire in the colors of their skin and hair and the tattoos on their faces and bodies. One thing they had in common: iron slave rings around their throats. Arram rubbed his own throat uneasily. His original home, Tyra, was not a slave country. Three years in Carthak had not made him comfortable with the practice, not when there were no slaves at his school. He saw them only when he was outside, and the sight of them made him edgy. The leader of the musicians raised his staff. The trumpeters let loose a blare that made Arram jump, almost tipping him over the rail. The men caught him again. The men’s laughter was drowned out by a thunder of drumrolls. Arram gave the sands what he called his special, magical squint. Now he saw waves of spells all over the arena floor. They sent ripples through the air, carrying the arena’s noise even to the people in the seats high above. “Why do they allow spells on the arena sand?” he shouted at the friendlier of the two men. As far as he knew, magic was forbidden here. Perhaps they allowed only their own magic, just as they allowed the emperor’s magic. Arram might have corrected him concerning the state of his pocketbook, but he couldn’t breathe and had finally remembered a teacher’s advice: “You don’t make friends when you tell someone you think he is stupid.” He was seeing light bursts against a darkening world. He called up the first bit of magic he’d ever created, after a walk on a silk carpet brought flame to his fingers. He drew that magic from the sands and seized the fist on his collar. Arram couldn’t answer. He hit the rail and went over backward, arms flailing.